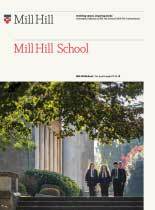 The Mill Hill School Express is a bus service which helps pupils aged 7-18 years to get to Belmont and Mill Hill Schools. A safe convenient and practical transport service which contributes towards a greener environment by reducing the number of vehicles bringing children to and from school. This home to school initiative aims to make life easier for families whilst providing a secure transport service. The Mill Hill Express runs Monday-Friday only. Please note that all routes and costings are subject to change. Whilst every effort is made to expand the services where numbers are sufficient, spaces are limited and seats cannot be guaranteed. Priority is given to those on the return fare. Early registration is recommended if the bus is the only means of travel to/from the School. Existing users are asked not to call the Schools in the event of an operational issue as this will cause unnecessary delays. Please ensure pupils are at their stop at least 5 minutes prior to the listed times – BUSES WILL NOT WAIT FOR PUPILS WHO ARE LATE.